The following photos focus on changes and additions to Perdition Home Haunt during a return visit a few days after opening night. Though the outside largely remained the same, a couple of changes were perceptible on the return visit, including a stretcher outside and “PIG” painted in bloody letters on the door. 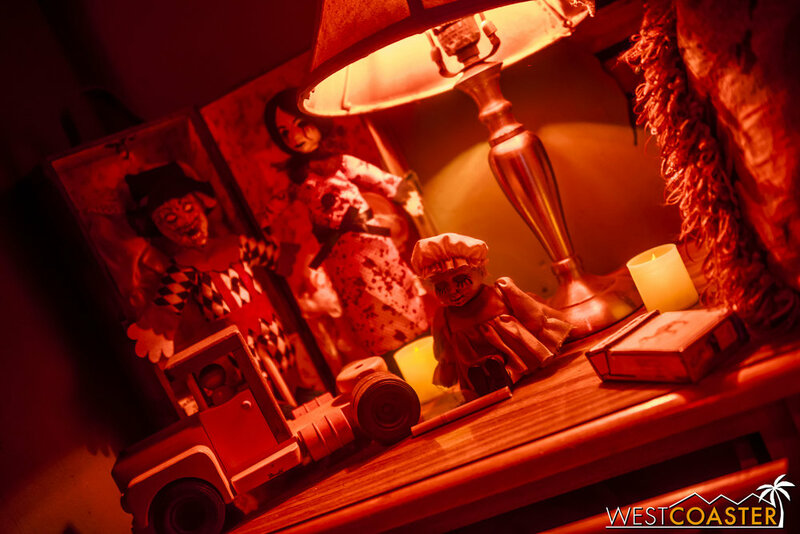 Today, we’re going to do a bit of a Westcoaster first and provide an addendum review to a home haunt that we visited earlier in the season: Perdition Home. 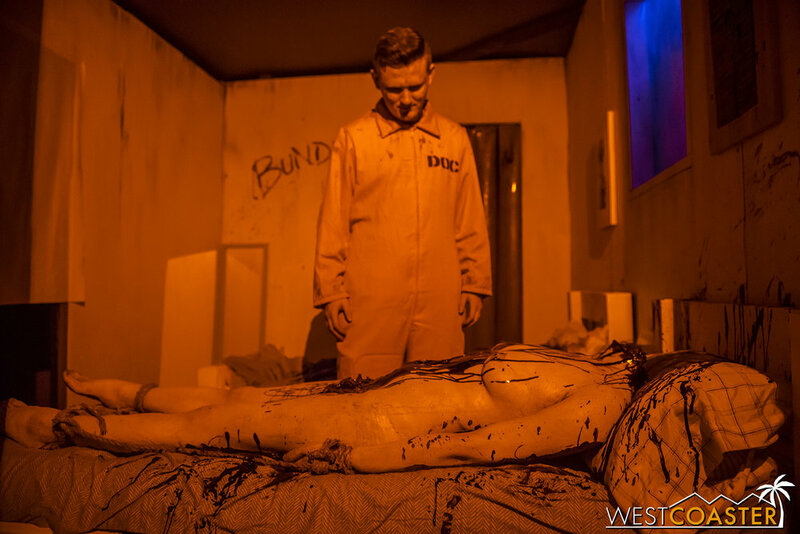 Our review of Perdition a couple of weeks ago came from a visit on their opening night, and though the maze was functional and complete enough, Brandon and Trevor were disappointed that it had not been finished up to their satisfaction and standards. Over that weekend, they were able to add and enrich a significant amount of detail and theming, and they asked me to come back if I could to check out their more truly final product, if I could. Well, with an Orange County-centric final half week of Halloween season, I was able to fit in Perdition for a second visit—the first time I had ever done a home haunt that twice in one season (aside from working Higgins Manor for years). And I was glad I did! 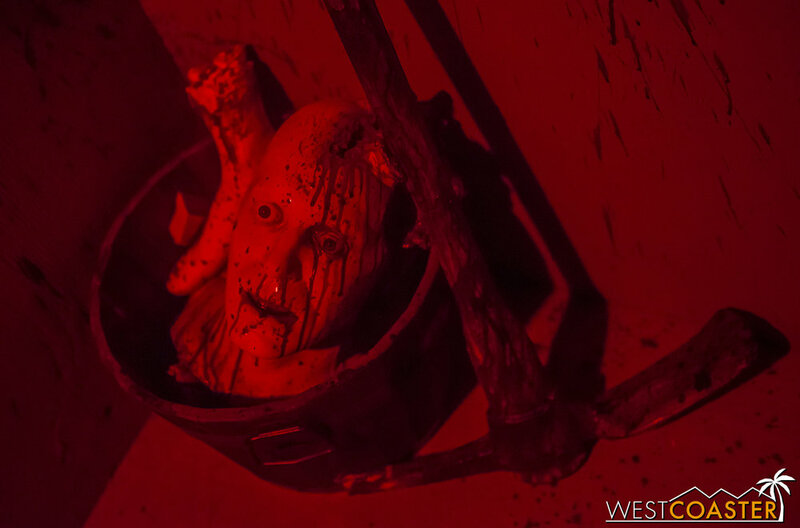 Although I thought Perdition’s Death Cult maze was pretty enjoyable the first time around, a repeat visit revealed a substantially richer and gorier maze that really had that extra, bloody sheen that Perdition has long been infamous for. Brandon and Trevor were able to largely accomplish their finish work on the Friday and Saturday after I visited. The night I left Perdition, I had teased Trevor about his remark that the maze needed to be even bloodier. But having witnessed exactly how they made it bloodier, I agree: the plussing definitely added a fantastic, professional layer to a vividly intense maze! A few bottles and candles can really liven up a scene! Today’s update is thus a study in the first draft and final draft of an elaborate home haunt, and how little details and layers of theming can make an exponential impact on the atmosphere and experience of a maze. 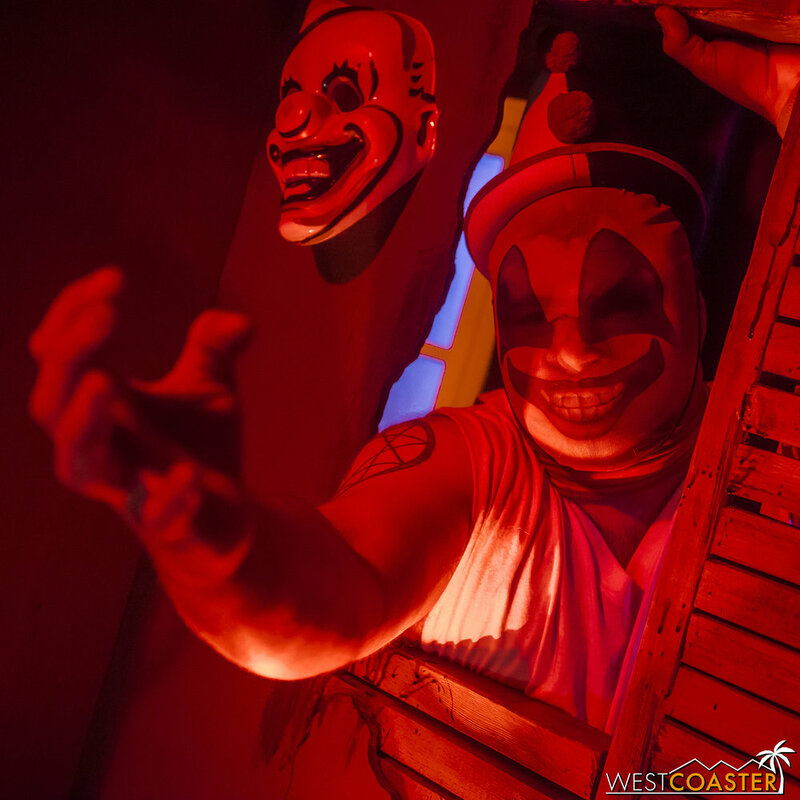 The additions Perdition provided greatly improved and clarified the storytelling and really helped immerse guests into the nightmare of engaging history’s most notorious serial killers! So can way more severed heads in a sink! Last time around, the fridge was bare and not even left open during regular operation, but stocking it with severed limbs allowed its contents to be more revealed. Jeffrey Dahmer… still hungry. With crime scene photos stapled to the wall on the back. Lets start with a simple touch that I really appreciated: splattering the name of each serial killer across the wall of each room, providing a chapter title to each scene and lending a more cinematic framework. The first room is Charles Manson. The next is Jeffrey Dahmer. Then comes Ted Bundy, and Ed Gein, and John Wayne Gacey. And Richard Ramirez, the Nightstalker, rounds it out. 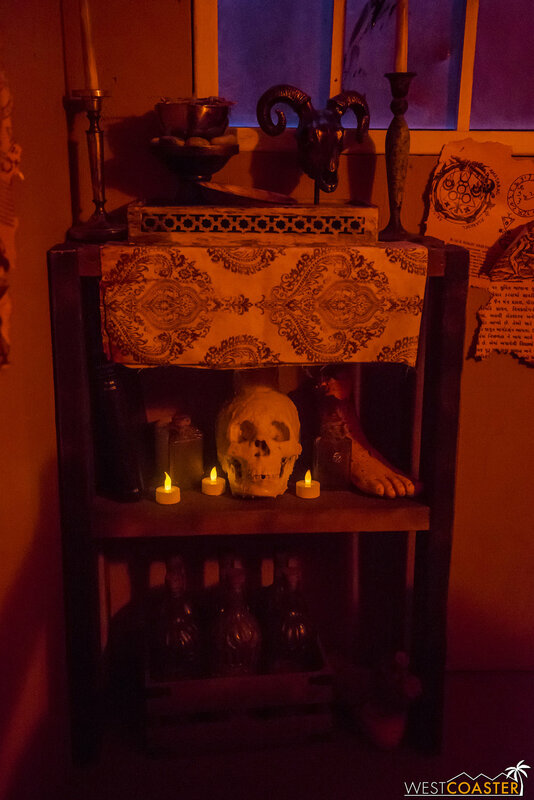 Though guests might have figured out the killer identities on their own, displaying them took the guesswork out of the trek and allowed guests to focus on the details and actual scares. The Hello Kitty slippers added to Ted Bundy’s Room provided a sadistic touch. The room also had more blood and bodies. Props scattered about Ed Gein’s room. The bloody lettering was a simple, straightforward, but appreciated touch! The other layer was the actual theming and set dressing. 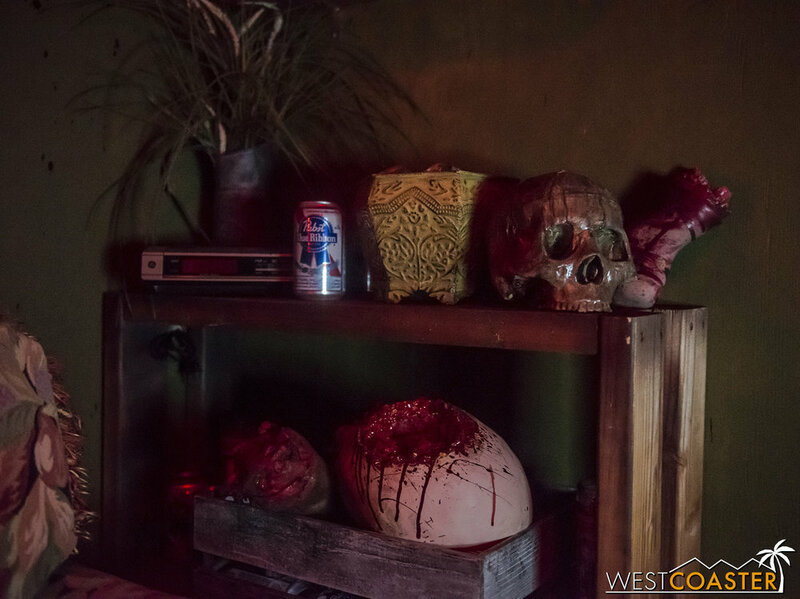 Having produced Perdition Home for years, Brandon and Trevor have built up a large variety of Halloween props, and they really filled the maze with their most graphic and violent looking items. On my previous trip, I had definitely seen some theming elements, but they were exponentially more upon my return. Shelves with body parts, creepy dolls, mystery jars, and more littered each scene. Secondary illumination like candles and lamps helped give more ambiance. Brandon even added disturbing details, like crime scene photos—some pulled from movie sets and some genuine! As he noted with dark humor, going to pick up the photos that day from the local drug store was veeeeeery interesting. Bloody eye candy aside, the maze functioned more smoothly on my second visit as well. By then, the cast had found their drives, digging into their serial killer characters and projecting smoother energy and flow and snappier timing. The types of scares were also more mixed up, with some that invaded personal space and others using the more traditional boo box startles. But sequencing was much better—no surprise as a haunt progresses on its run. John Wayne Gacy, being creepy AF. As was a shelf on this corner with additional theming. Ultimately, though I had liked Perdition’s haunt this year already, the second visit really elevated Perdition’s standing among the countless haunted attractions visited this year. Perdition did what it does best: gory, messy, intricate haunts. And it kept getting better and better as its short home haunt season progressed! The finale—even bloodier than before! There were much more satanic props this time around. They really enhanced the horrific environment. Perdition Home is located on 5181 Manor View Dr., Yorba Linda, CA 92886 and was open this past October 25-31. If you read through our first review, consider this evidence of what a couple day’s difference makes. And also evidence of the nightmares Perdition is capable of inflicting!